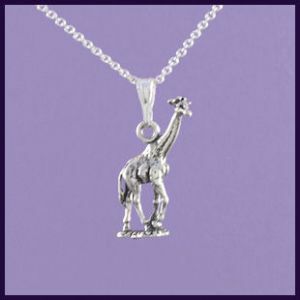 The Giraffe necklace is a large sterling silver 3D pendant of a giraffe on a 925 silver chain. 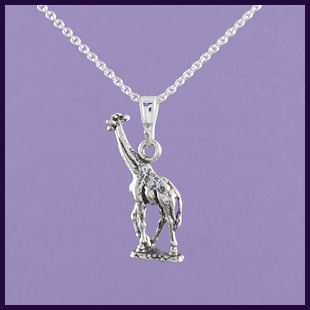 The pendant is 30mm high, 12mm wide, 6mm deep and 4.0g in weight. You can choose between different chain lengths. The giraffe has a nice weighty feel to it..